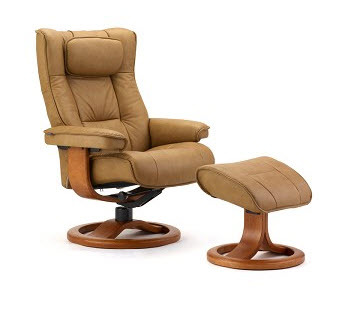 Our Fjords Alfa 520 recliner is from Fjords by Hjellegjerde, makers of inspired Norwegian quality and craftsmanship since 1941. 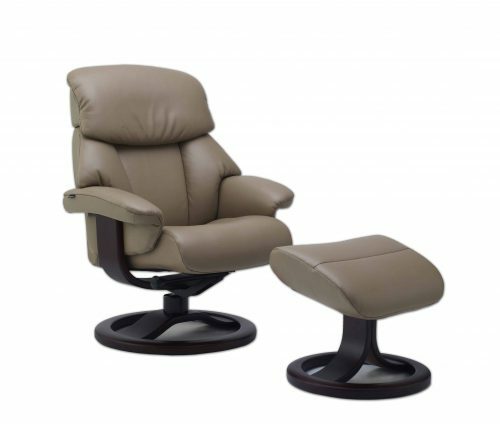 The Fjords Alfa 520 recliner with the height adjustable headrest makes the sitting experience ergonomic and gives your spine good support in the right places with bases which have a 360° swivel. The base is produced in laminated, stained wood and you can choose between two different bases. 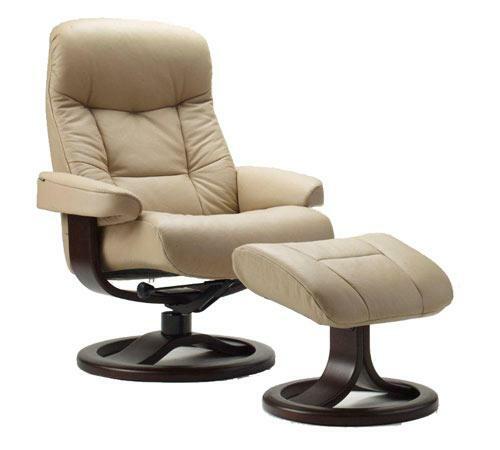 The Fjords Alfa 520 recliner chair is available in two sizes, small and large. A matching Ottoman is also available.